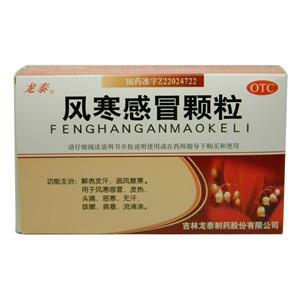 For relieve moderate pain such as: joint pain, muscle pain, neuralgia, headache, migraine, toothache, dysmenorrhea, also for fever due to the common cold or influenza. This product contains 0.3 grams of ibuprofen per grain. Auxiliary materials: sugar, lake powder, stearic acid, polyvinylpyrrolidone. The contents of this product are white spherical pellets. For oral use after meals,1 capsule twice(morning and night) daily or by medical ordor, Consult a physician or pharmacist about the dosage for children..
1.A few patients may experience nausea, vomiting, abdominal pain, diarrhea, constipation, burning sensation in the stomach or mild dyspepsia, gastrointestinal ulcer and bleeding, elevated aminase, headache, dizziness, tinnitus, blurred vision, nervous tension, drowsiness, lower limb edema or sudden weight gain. 2.Rare rash, urticaria and pruritus. Very rare severe skin allergy, exfoliative dermatitis, Stevens Johnson Syndrome, or bullous skin conditions such as erythema pleomorphism and epidermal necrolysis. 3.Rare allergic nephritis, cystitis, nephrotic syndrome, renal papillary necrosis or renal failure, especially in the long-term use, usually accompanied by elevated serum urea levels and edema. Rare bronchospasm. 4.Have intestinal diseases, such as ulceration. 1. It is contraindicated for those allergic to other nsaids. 2. It is forbidden for pregnant and lactating women. 3. It is contraindicated in patients with asthma who are allergic to aspirin. 4. Patients with severe liver and kidney insufficiency or severe heart failure are forbidden. 5. Patients taking other drugs containing ibuprofen or other nsaids, including drugs known to be specific cox-2 inhibitors, are prohibited..
1.This product is symptomatic therapy medicine. Self-medication should not be used for a long time or in large quantities, and it should not be used for pain relief for more than 5 days or for antipyretic for more than 3 days. 2. This product is best taken during or after meals. 3.This product and other antipyretic, analgesic and anti-inflammatory drugs are contraindicated. People with allergies should use with caution. 4.In case of rash, mucous membrane injury or allergy after the first use of the product, stop the medicine and consult the doctor. 5.Must be swallowed whole,do not open or dissolve to take. 6.Donot take other drugs containing antipyretic analgesics (such as some compound anti-cold medicine). 7.Do not drink alcohol or alcoholic beverages while taking this product. 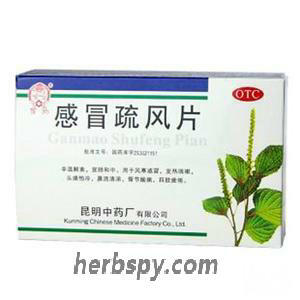 1.When used together with other antipyretic, analgesic and anti-inflammatory drugs, this product can increase adverse gastrointestinal reactions and may lead to ulcers. 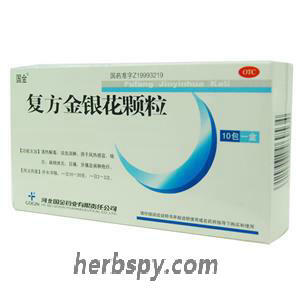 2.When used in conjunction with heparin, bicoumarin (such as warfarin) and other anticoagulants, the product may prolong prothrombin time and increase bleeding tendency. 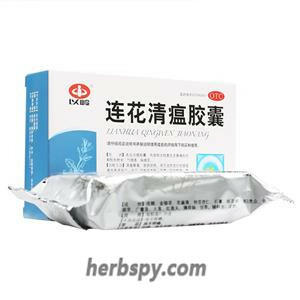 3.When used together with digoxin, methotrexate and oral hypoglycemic drugs, this product can increase the blood concentration of these drugs and should not be used together. 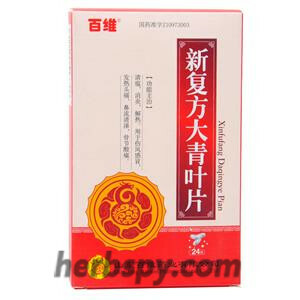 4.When the product is used with furacemide (furaniline acid), the effect of the latter on sodium excretion and blood pressure reduction is weakened; When used with antihypertensive drugs, it also reduces the antihypertensive effect of the latter. 5.Ibuprofen is combined with aminoglycosides, glucocorticoids, antiplatelet drugs such as aspirin, cyclosporine, diuretics, lithium, quinolones, zidovudine and ssri. This product can inhibit the synthesis of prostaglandin, with analgesic, antipyretic and anti-inflammatory effects. And for the sustained release form, can make the drug in the body gradually released. Each dose lasts for 12 hours. Overdosing can cause headaches, vomiting, drowsiness, low blood pressure, etc. The general symptoms may disappear spontaneously after withdrawal. In case of overdose, emergency treatment should be given, including vomiting or gastric lavage, oral activated carbon, antacids or/or diuretics, and monitoring and other supportive therapies should be given. Oral absorption is easy, slow down when taken with food, but the amount of absorption does not decrease. It does not affect absorption when taken with an antacid containing aluminum or magnesium. The plasma protein binding rate was 99%. After taking the drug, the blood concentration reached the peak at 1.2-2.1 hours, with the dosage of 200mg, the blood concentration of 22-27g /ml, the dosage of 400mg was 23-45g /ml, and the dosage of 600mg was 43-57g /ml. T1/2 was generally 1.8 ~ 2 hours after a single dose. The arthrocyte concentration was equal to the blood concentration after 5 hours of medication, and was higher than the plasma concentration within 12 hours. The product is metabolized in liver, 60% ~ 90% urine is excreted, 100% is excreted within 24 hours, about 1% of which is the original substance, part of which is excreted with feces. Stage Food and Drug Administration Approval number:H20066822.